The Pogues' Fairytale of New York has made an appearance in the UK Top 10 for the first time since 2008 - thirty years after it was first released. The song never made it to No 1 on its initial release in the UK and was kept off the then coveted Christmas top spot by The Pet Shop Boys' cover of You Are Always On My Mind. The song was the Christmas No 1 in Ireland in 1987. 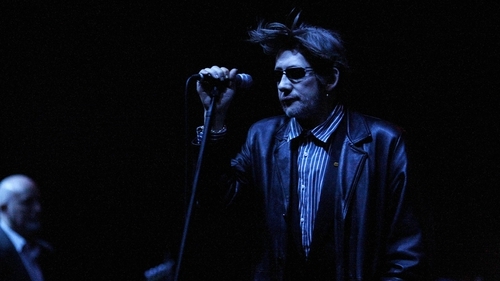 RTÉ will screen a new documentary about the famous song, which was written by Pogues front man Shane MacGowan and multi-instrumentalist Jem Finder, on December 21. There was less good news for U2 in the new UK music charts - their new album Songs of Experience debuted at No 5 in the UK chart but debuted at No 1 in the new Irish album chart on Friday. Ed Sheeran's new single with Beyoncé, Perfect Duet, is the new UK No 1, leaving it in a strong position of making the Christmas No 1 spot.